The Arboretum’s Annual Spring Bird Count was held this past Saturday, May 12th. At this event, members of the Northfield and Carleton communities work together to record the presence of as many bird species as possible in the Arb. This year, because of the long winter, many of the Arboretum’s normal spring birds have not yet arrived. Despite this, the Bird Count reflected the Arb’s rich community of birds. Some of this year’s highlights include sightings of several uncommon warblers, a flock of seventeen American White Pelicans, and numerous other interesting and beautiful species of birds. The Bird Count is intended to help track bird populations in the Arboretum. Data from the count can be used in the future to help inform management decisions and create viable bird habitat. Though the count was only started in 2002, noticeable changes have already occurred in the bird populations of the Arboretum. The Bird Count has been particularly useful in tracking changes in prairie specialist bird populations over time. With the loss of native prairies in Minnesota, many of these bird species lost their habitat and became less common throughout the state. As prairie restorations have been planted in the Arb, many of these bird species have begun to show up more and more frequently in the annual Bird Counts. 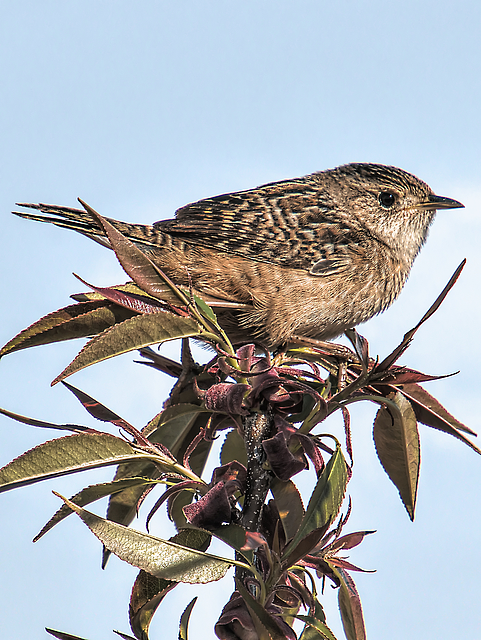 Some of these species were recorded in this year’s count, including Eastern Meadowlarks, Sedge Wrens, Clay-colored Sparrows, and Henslow’s Sparrows. Several other prairie bird species of interest have been found in the Arb, but did not show up in the count, including Bobolinks, Grasshopper Sparrows, Savannah Sparrows, and Dickcissels. It is our hope that as the prairie restorations age and further restorations are planted, more of these ecologically important bird species will return.